Bournemouth Symphony Orchestra continue on their Prokofiev journey with award-winning pianist Boris Giltburg, Ravel invites you to dance and Rimsky-Korsakov looks to the East. Alexander Shelley takes up the baton for the BSO as they show off Prokofiev’s cheerful and energetic Piano Concerto, alongside a soloist whose interpretations of the composer’s War Sonatas “eclipse all others on record” (Gramophone Magazine). On either side, Ravel’s ‘choreographic poem’ sets off proceedings with dancing vigour and Rimsky-Korsakov tells stories of fairytale wonders in his piece based on Arabian Nights. Jonathan James gives a piano presentation, on the theme of Ravel and the art of the Waltz. Born in the UK in 1979, Alexander Shelley first gained widespread attention when he was unanimously awarded first prize at the 2005 Leeds Conductors Competition, when he was described as “the most exciting and gifted young conductor to have taken this highly prestigious award.” He is Chief Conductor of the Nuremberg Symphony Orchestra, and succeeds Pinchas Zukerman as Music Director of the National Arts Orchestra of Canada in 2015. 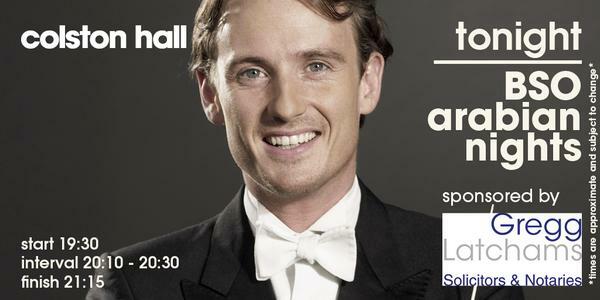 Alexander Shelley is in demand from orchestras around the world including the Royal Philharmonic, Rotterdam Philharmonic, Stockholm Philharmonic, Konzerthausorchester Berlin, Seattle and Houston Symphony Orchestras and the top Asian and Australasian orchestras among many others. Inspiring future generations of musicians and audiences is central to Alexander’s work. He is artistic director of the Zukunftslabor project – an award-winning series which aims to build a lasting relationship between the orchestra and a new generation of concert-goers through grass-roots engagement and which uses music as a source for social cohesion and integration. In 2001 he founded the Schumann Camerata with which he created “440Hz”, an innovative concert series involving prominent German television, stage and musical personalities, conceived by him as a major initiative to attract young adults to the concert hall. Born in 1984 in Moscow, Israeli pianist Boris Giltburg has been compared to the great pianists Richter and Rubenstein, and has received rave reviews from the press since his breakthrough performance with the Philharmonia in 2007. In 2013 he received First Prize at the Queen Elisabeth Competition in Brussels, which catapulted him to even higher international acclaim, and in the same year he was nominated for a Classic Brit (Critics’ Award). He made his BBC Proms debut in 2010 with the BBC Scottish Symphony, and is now a regular performer at London’s Royal Festival Hall. His recordings have also garnered fervant acclaim – his 2012 disc of the Prokofiev ‘War’ sonatas on the Orchid label was a Gramophone ‘Editor’s Choice’, who declared that his interpretations “eclipse all others on record”. His 2013 recording of three sonatas by Liszt, Grieg and Rachmaninov was just as acclaimed, with the Telegraph awarding it 5 stars. All in all it seems that everyone agrees that Boris Giltburg is a performer not to be missed. Outstanding Prokofiev from @BorisGiltburg tonight! Looking forward to another one at @Colston_Hall tomorrow! Don't miss it if you're nearby!